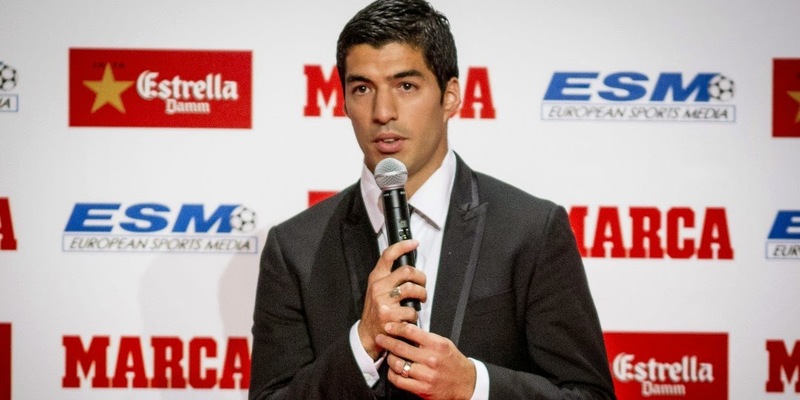 Luis Suarez is hoping that 2015 is a year were he will find success on the field, and perhaps a future career path for when he decides to hang up his cleats, and leave the game he loves. He will be the latest football player to write a book, but this won’t be just another biography or children’s book, this will be a cooking book. Raised in a traditional Uruguayan household, with his mother being a strong influence in his upbringing, Suarez was injected with the cooking bug at an early stage of his life. Spending time with his mother in the kitchen was perhaps the only other place you would find him besides the local football fields where he would play with his friends. His love for food, cooking and the kitchen, has been always a part of his DNA, so the logical move for him as he takes on writing, would be to bring both of those worlds together and write a cooking book based on his mother’s recipes. It is reported that he will also introduce three new recipes that are his creation, but all others will be based on his Uruguayan traditional foods and his mother’s home cooking. The three new recipes are believed to be Italian cannolis, a Serbian dish named Muckalica (diced pork with pepper and tomato hot sauce) and a Pannenkoeken a traditional Dutch dish. These are three of the dishes Suarez likes the most and seems to have a real taste for. The book will be available in kindle, paperback and hardcover and is expected to come out before the end of April. The publishing house involved in the distribution is Spanish, so it is expected that the book will be released in Spanish first, but they believe is that it will eventually be re-released in English, Italian and French in order to open it up to a much larger market. Rumors floating in Barcelona are that he will be launching it at Camp Nou by cooking some of the recipes on the book for his Barcelona teammates to try. The book will also be sold at the Barcelona store and online at their site. 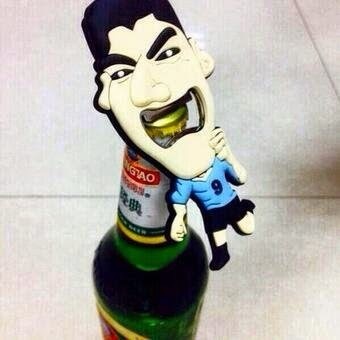 The first 500 copies sold will be accompanied with a Suarez bottle opener and toothpick jar.